Hello! Just making my way to a new home. Here's the link if you are interested! 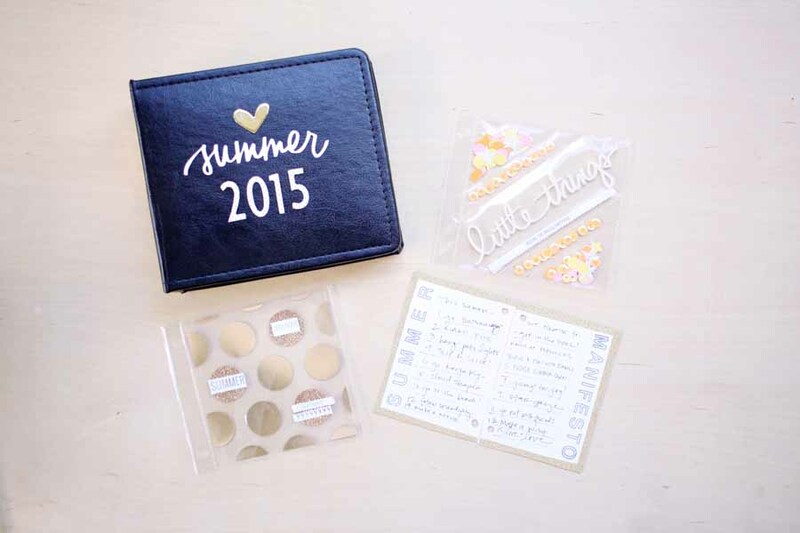 So when I saw my Instagram friends Jen Lake and Julie Gagen create a new site called Little Paper Projects and launch the first project: Little Summer Joy, I knew this would be a great fit for me. Lucky for me they had a spot open for a contributor! Maybe it will give me the spark I need to actually do something more with my site. Or maybe I will just enjoy my summer, documenting what I can and enjoy sharing that. How about we just enjoy living, creating and sharing with one another? That's pretty exciting! 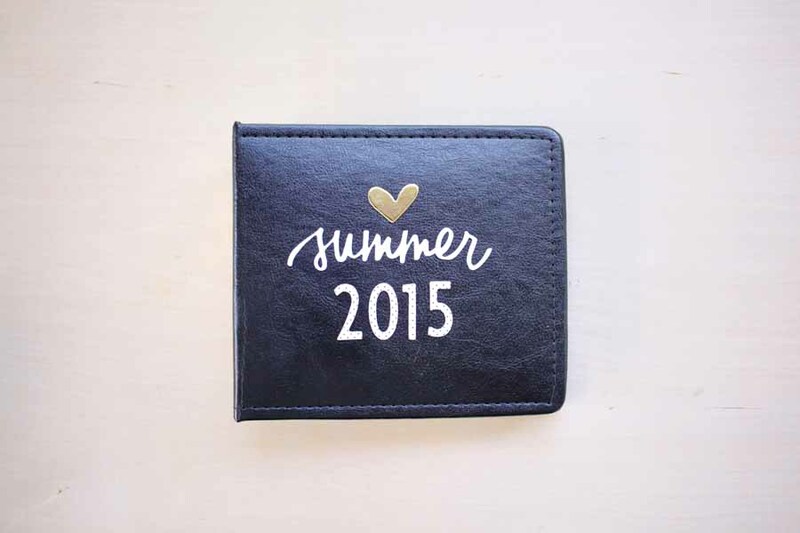 Okay, so here's my plan for my Little Summer Joy book this year. I'm using a 4x4 mini album from Seven Paper, some of Ali Edwards "Little Things" Story Kit™ and a bunch of my stash. I am not looking to go super minimal with this project. You totally could and that would be awesome! Jen and Julie shared several options here. I've done simple journals before--for an example is my 30 Lists journal that I still adore. So, I might do a journal on the side with it. But right now I just want to PLAY with some of the cool stuff I've collected and make something with it. I've decided I need to make more stuff or I need to put the collecting on hold. And since I really like it, why not use it?! Here's a look at my title page plus my manifesto. I kept it simple and just used the back of the 3x4 title cards to create a 4x6 canvas to write on. 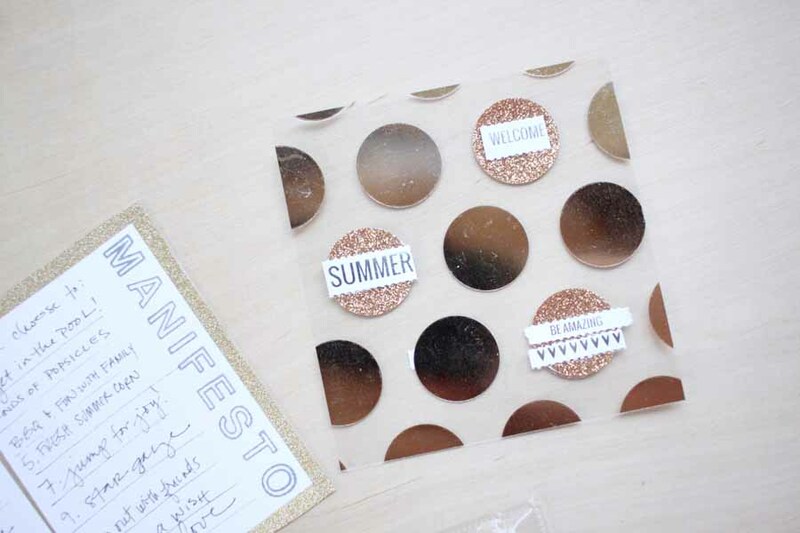 I stamped Summer Manifesto with this stamp set from Kellie Stamps. Wrapped the edges in some glitter washi tape from Target and just wrote my list. Simple and done! I hope you will join us!! 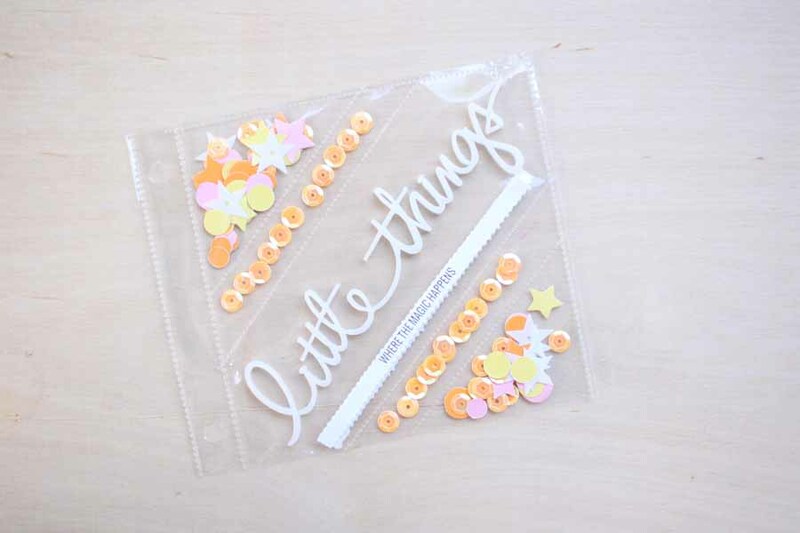 You can sign up at Little Paper Projects here + many will be sharing their projects on Instagram. 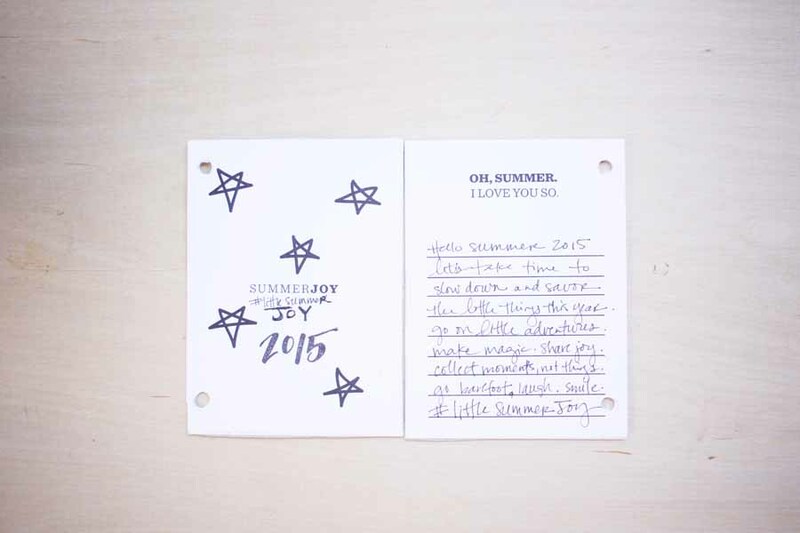 #littlesummerJOY. p.s. did I mention it is free?! 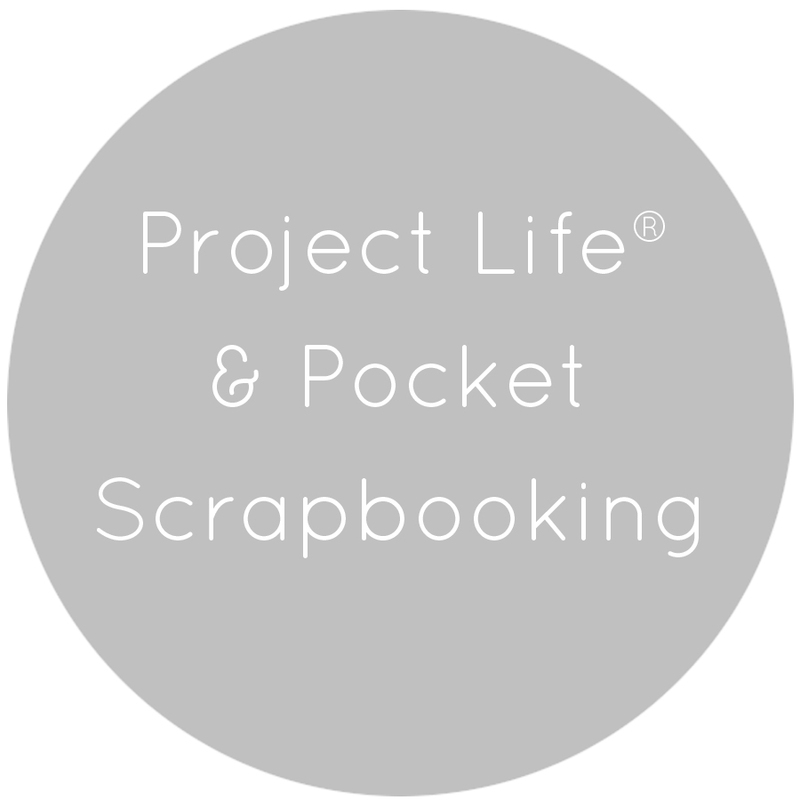 I am thrilled to be a part of looking back and sharing our Week in the Life™ memories as part of gearing up to participate in it again with Ali Edwards this August. 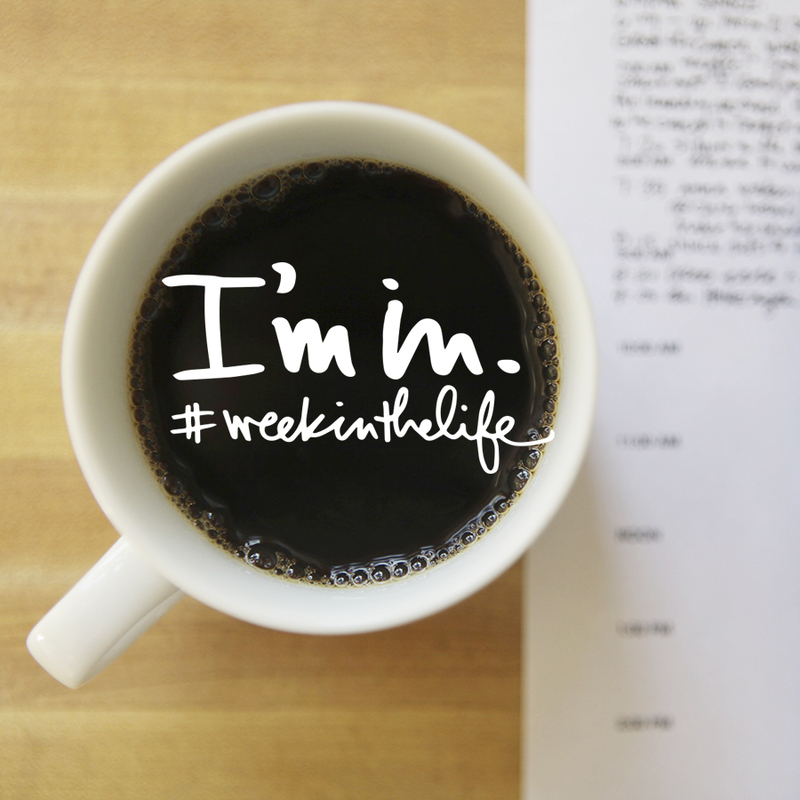 For more information on Week in the Life™ click here. For more information on my own albums click here. ***note I have fully completed one album (2011) and the rest are a work in progress. I do have notes and photos and partially filled albums, which is fine. It was a busy period of my life and the last thing I want to do is berate myself for not finishing some project. But, they are on my list and will happily announce when I do finally finish them!! And just because life is busy doesn't mean you can't take some photos. Make the time. It will be worth it. Click on!! As part of the gearing up for Week in the Life this summer, I was asked to share one day for each day of the week (Monday through Friday) to be able to share on Instagram. Yes!! of course I would love to share! Happily most of these were already finished, just a few needed a bit of journaling and hoping I had not lost the little Thursday flair button! 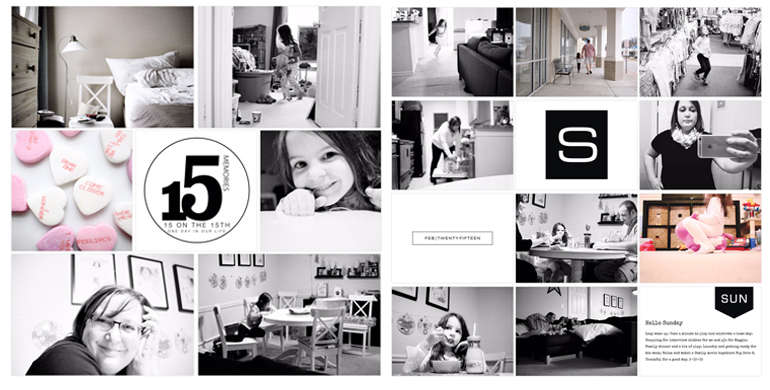 Here are my five days I have shared on Instagram this week on AliEdwardsDesignInc. 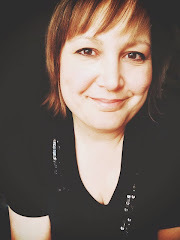 "hello Monday | get to work day"
A little about me: I am a work outside the home mom and was working a pretty heavy schedule with long hours and a long commute for four years while my husband was in a PhD program. We all have different seasons of life and reasons we are busy. This just happened to be one of my busy work seasons. And even though the schedule was tough, I have found that capturing self portraits helps increase my self awareness, self compassion and decision making. I also know that I am part of this story and I want to make sure I am a part of these books as well! On this particular Monday, I worked (as noted by the photo of my purse with my work tablet and other accessories) and then made it home before dark to do finish up work. I was driving a lot for work during this part of my life so the fact I made it home at a decent hour was a good thing. 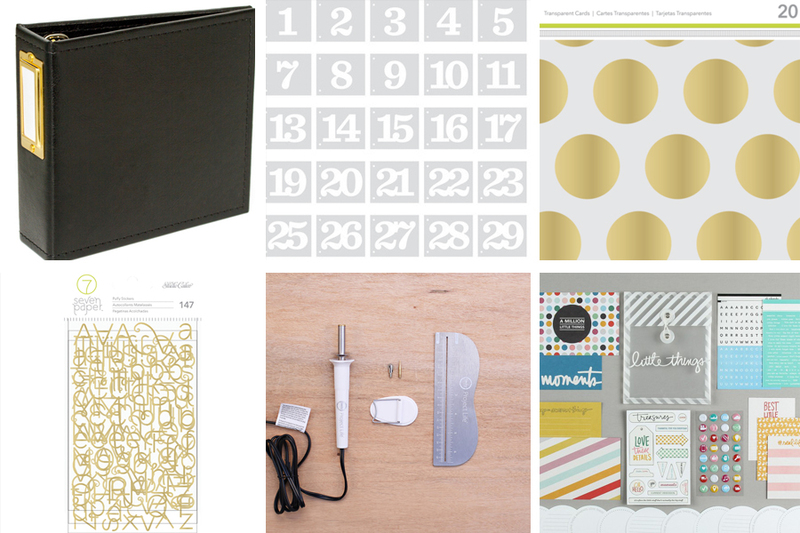 And I like that I captured my scrapbook desk / work desk that was actually in the bedroom of our apartment at that time. Making it work, right? Fast forward two years. My daughter is now four years old and is definitely growing up. Here's my journaling from the title page: "The story of this photo is her independent spirit at 4 years old. That she often gets her own milk and cereal, even when the jug is full and she boasts how strong she is since it is so heavy. That today I poured some in a measuring cup for her because I was stressed and didn't want to clean up a big mess, just in case. That one of her habits is pulling her hair back with her left hand because she refuses to wear anything in her hair and loves it long. That the yellow sunflower mix is still looking good after celebrating her grandma's birthday over the weekend. It was a good morning. Hello Tuesday." The story of this photo is also that I am no longer driving the long distances I was. Still working but not to the extent I was in the prior 4 years. So thankful I had time to spend at home that morning to capture little moments like this. 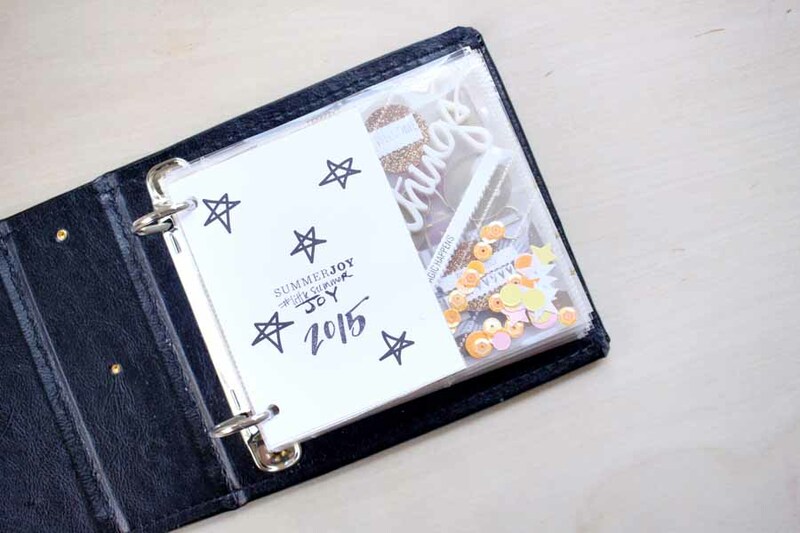 I also love the daily schedule in Ali's kit last year but I had not filled it out during the week. 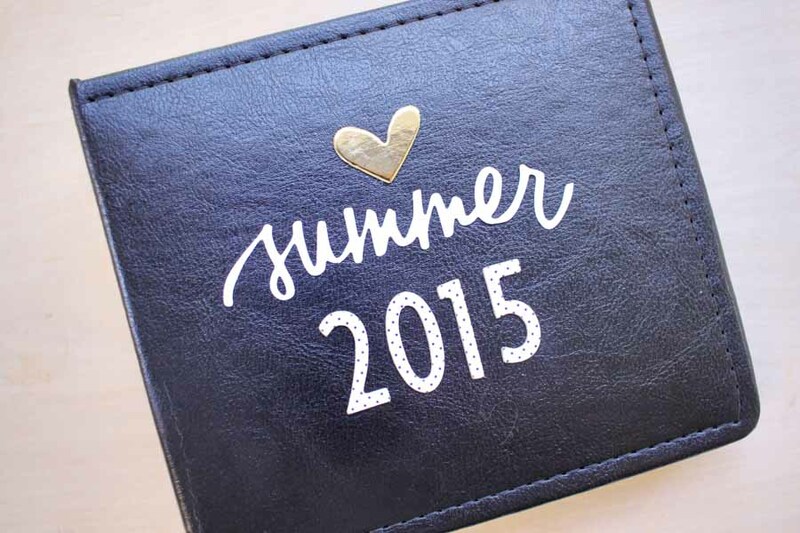 I just finished up my journaling in time to share it with you now. Thankfully I had written notes on Ali's daily sheets so I had some great nuggets to add to the schedule. My favorite little nugget: 8 am: "Mom, you can't go to work in those pants can you?" Note to self: must do laundry! 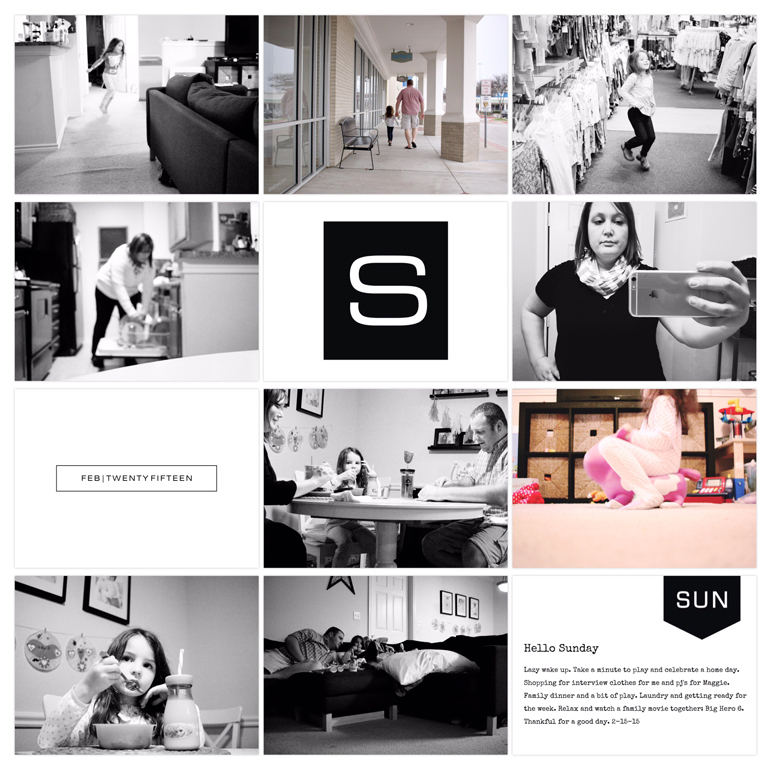 I love to make sure I capture some photos of the characters of the story that is our life. That afternoon I came home from a busy day and because it was Week in the Life™ I grabbed my camera and got my daughter to cooperate with a few photos on the balcony. And while I'm super thankful to capture her cute face at 17 months, I'm also happy I captured the story behind our day with additional photos, like places I went that day. Lunch at Panera (so that's where my Panera card is!!) Clean bathrooms at Central Market (when you drive a lot in Austin traffic you are thankful for clean bathrooms!) And then the stories not told with photos. Here I added a note from her teacher at daycare and I love that I added those details. Also remember the photos and stories don't need to be perfect. It is the collection of little photos and stories that make this project so great. In 2013 I started each day with a focus on a particular time of day or routine. So for each large photo on the left side and the smaller photos on the right side I have a focus on things like the morning routine, work routine, afternoon routine, bedtime routine and after school routine. You can break it down as you need for your routine. I liked that it gave me some focus to make sure I got a good photo for the enlargement each day. That took pressure off of me to not feel like I had to take a zillion photos each day. Again, my work routine was very busy during this time but taking the time to capture a bit of my life has been amazing to look back on. Instead of focusing on the negative, I was able to reflect on the beauty that is all around me and the stories that are present if I just look and reflect. Here I captured how her room looked at the time, which is cool to look back on. I also captured her love of pajamas and blankets. Doing the the pajama dance and hiding under her blanket. So happy to have these little moments recorded! 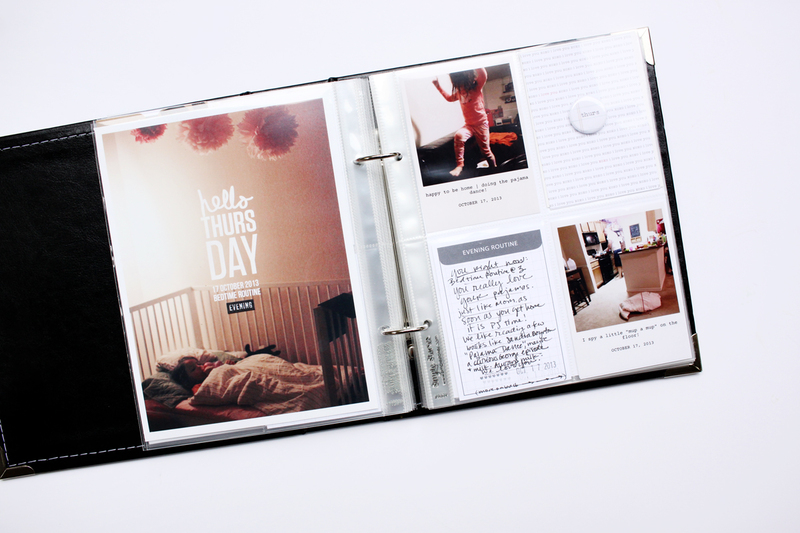 The journaling: Evening routine: "You right now. Bedtime routine at 3. You really love your pajamas. Just like Mom, as soon as you get home it is PJ time! We like reading a few books like Sandra Boynton "Pajama Dance" and maybe watch a Curious George episode or two. And milk. Always milk. We love you." I also like that I captured my husband picking up my daughter from daycare. He is a very caring and involved father and he did this most days so I could focus on work. He was going through a rigorous PhD program and stressful internship at the time, which makes me even more thankful for all he does. Again, this time of our lives was busy. But I'm so very thankful I captured what I could. And I'm so thankful for Ali for her inspiration with this project. It's amazing and I will happily be joining in again this year! Hope to see you there too! Below is a free graphic Ali created. It's in the Week in the Life Community. You can find that here! - Looking back over several years at a time in such a compact view is amazing. To me it is like Project Life in a smaller time frame. Easy to compare previous years easily. Note changes, growth. Things you are proud of. Things you want to do better at. Things you are grateful for. As I looked back over these I really think this is my favorite project. Unfinished albums and all. I'll get there. - Have a plan. Using the digital templates and kit make it much easier. But you could go more simple or more elaborate. Do what's right for you. - Be flexible with your plan. - Plan for extra time during the week to take photos and notes. It does take a little more time than usual. If you need to, try to focus on a particular person, time of day or routine to make sure you get a good photo for that day's main photo. That has helped me. - Take notes!! 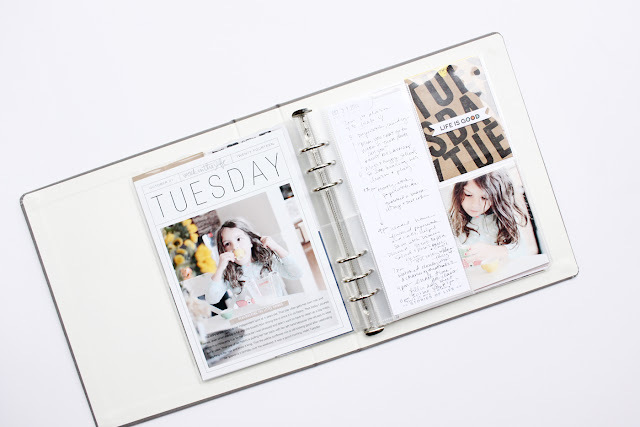 Definitely use a journal or notebook or Ali's Daily Sheets. Something. Jot down a few quotes or things overheard. Bits of life are what you are after. Things you may not remember if you are finishing it up later. A lot of the photos I take are just for triggers to help remind me of what we did that day. I don't include them all, but it helps with the journaling too. - Like I said above, keep materials together in a materials file so you can put it together when you have time. Do what you can in the moment, but don't beat yourself up or let yourself feel down if you see others getting it done faster. "Do what you can, with what you have, where you are." --Theodore Roosevelt. - Relax and enjoy the week. Let it unfold as it happens. You can do it!! I can do it!! 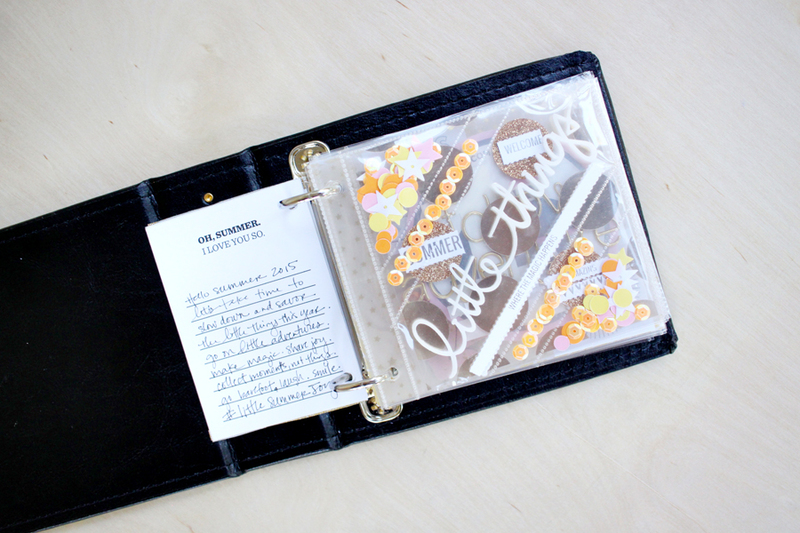 One photo at a time, one journaling card at a time. Most of all, view your life through the lens of gratitude. When I do, I remember it's pretty awesome. Thanks so much for letting me share some of my Week in the Life with you! So I realize this post is actually happening in May. Yes, I'm a bit behind the curve. But if you have followed my posts on Instagram you may have seen I am tackling a personal project this year called 15 on the 15th in 2015. I also consider this to be my Day in the Life™ project each month. The last time I participated in a project like this (as in a project for the whole year, besides project life) was in 2012. 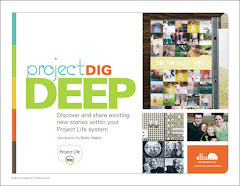 Ella Publishing (miss them!) ran a project called Take 12. And I kept up okay. Maybe finished about 1/3 of the project. For me, that's pretty good! Tracy Larsen: click here for her 15 on the 15th template. click here for her layouts. Ali Edwards: Day in the Life™ project: click here for more info. Also click here for info on when she is doing next (as of this post): which is May 12th. 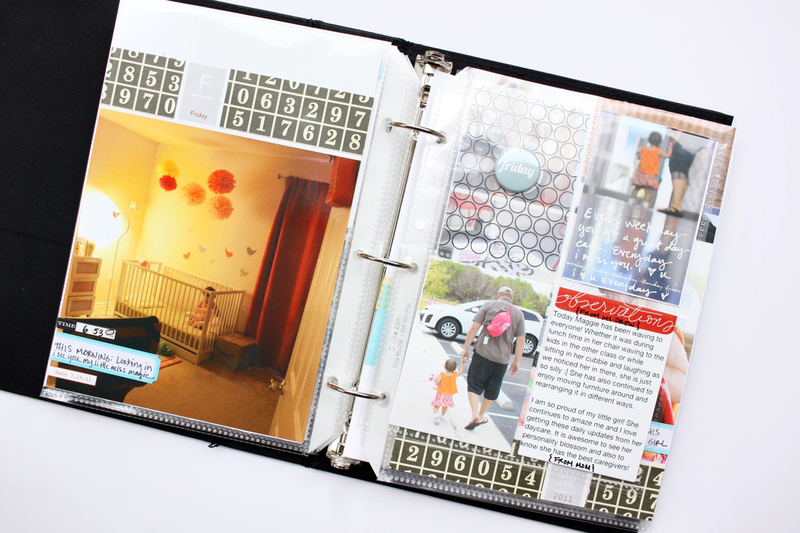 lots of other memory keepers do similar projects or just pick a random day each month for day in the life. Great example here from Megan Anderson. 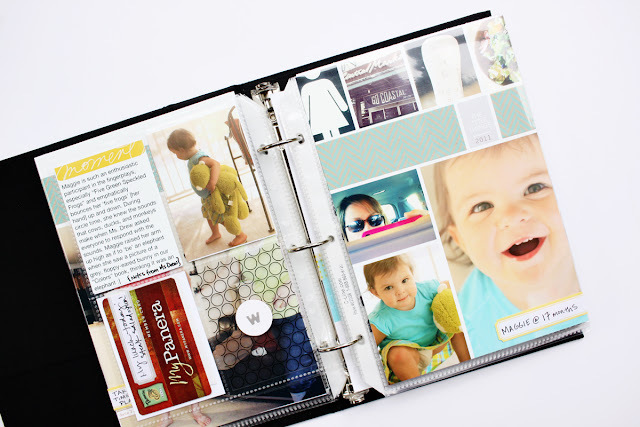 Take at least fifteen photos on the 15th of each month and create a two page layout using the Project Life™ App and Letterglow. Print these out with Persnickety Prints and call it good! For the left side I am using Design Q in the app. 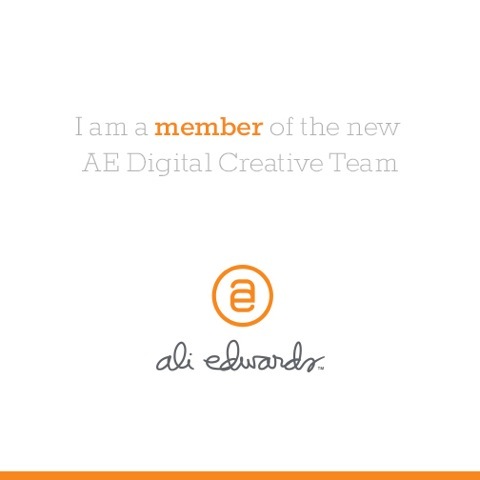 I also created a title card using Ali Edwards digital brush set and my tittle in Letterglow. For the right side I am using Design V in the Project Life™app. I also used digital cards from Love | Day | Seed. These are from the Calendar Collection.Two of them simply added right to the app from Dropbox. Another one I added to Letterglow to add the journaling. I've been experimenting with different layout options since it is so easy to do with the app. 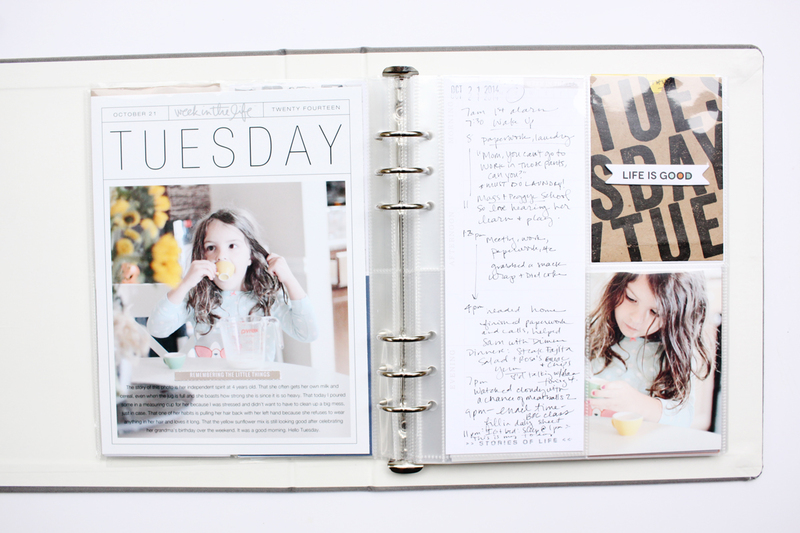 One of the challenges for me with project life is to keep it fresh but still keep it do-able. I had found a process that worked fairly well for me using primarily Design F pages for the past several years. And while I am considering going back to that, it has been fun to play around with other layout options without worrying about having to print the photos to that size. More on that when I start sharing more of my app layouts. Anyways, I hope you will join me for 15 on the 15th! 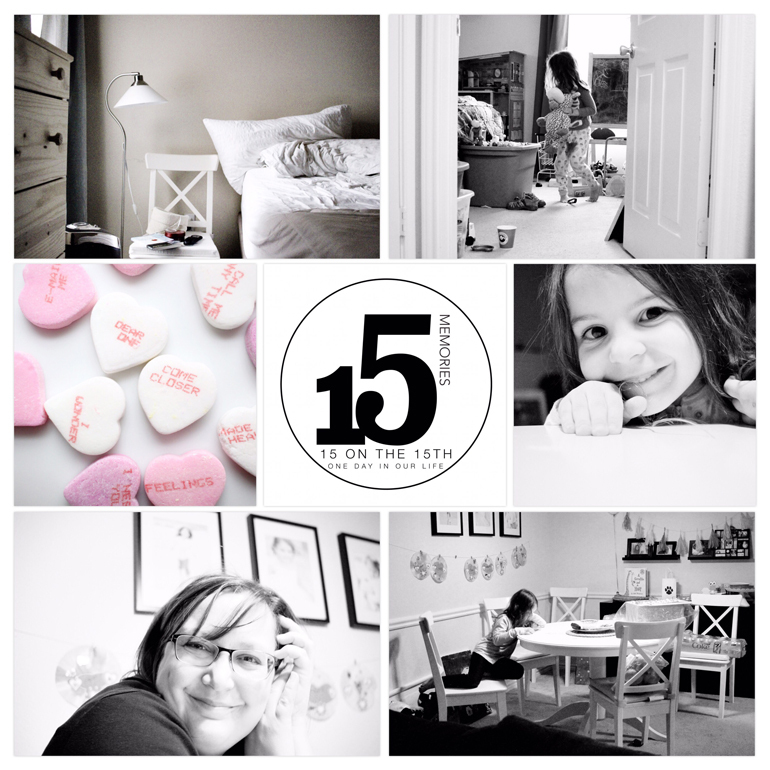 Even if you can't get them on the actual day, maybe try 15 photos each month for 2015! It's still a fun collection of photos and these are so cool to me to see since we are no longer in that space. You can also join in with Ali Edwards for her Day in the Life™ which she is doing next on May 12th. I'm Annette. 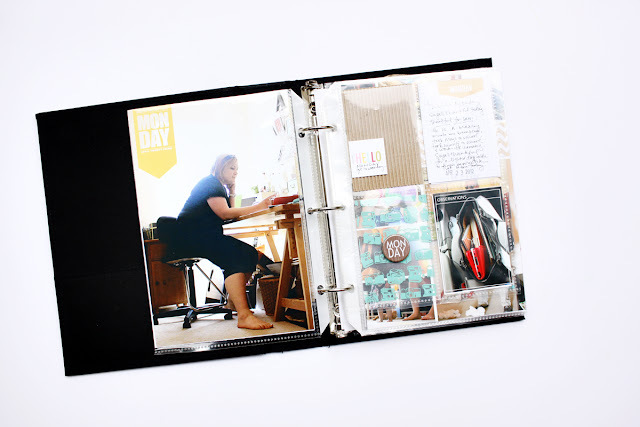 A work outside the home mom with a passion for photography, scrapbooking/Project Life and laughing daily. 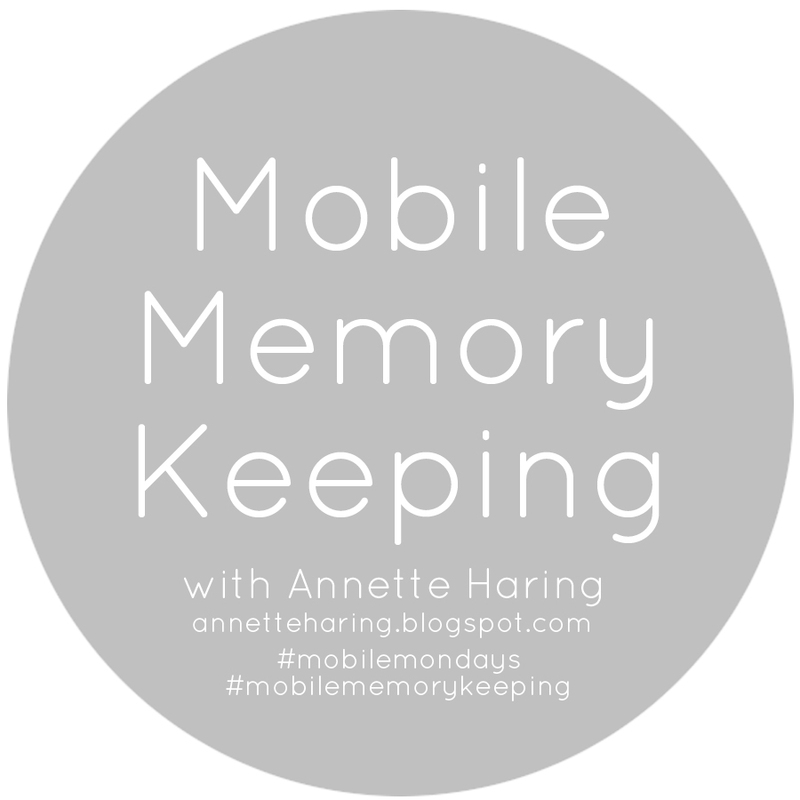 I love all forms of memory keeping including traditional, hybrid and digital approaches. Even a photo album is a scrapbook in my view. I love learning and connecting with others. Thanks for enjoying the journey with me! So incredibly thankful to be a part of Ali's team this year. All images and work are my own unless otherwise noted. Please do not copy my work unless you have permission. You may link using Pinterest, etc but please ask if you would like to use my work otherwise. Also, some links are affiliate links but I only share what I love or would really love to have. Thanks for being here and thanks for your support! Copyright Annette Haring 2011-2014. Simple theme. Powered by Blogger.